For 48 hours only beginning Monday, December 2 at 6 a.m., the Grand Golf Resorts of Florida is offering Cyber Monday specials with discounts as steep as 50% off luxury accommodations. Salamander’s Grand Golf Resorts of Florida collection includes Innisbrook Resort in Tampa Bay, Reunion Resort in Orlando and Hammock Beach Resort in Palm Coast. Innisbrook Resort, situated on 900 wooded acres of rolling hills in Tampa Bay, is offering a 20% savings off its best available rate and a $50 resort credit. Other Cyber Monday offers at Innisbrook include the Indaba Spa, where guests who book one 50-minute or longer spa service, receive 50% off their second service. Innisbrook Resort features numerous restaurants, 11 tennis courts and four championship golf courses—including the world-famous Copperhead Course, the host of an annual PGA TOUR event. Cyber Monday specials may include additional restrictions and blackout dates. For more information about Innisbrook’s Cyber Monday deals, visit www.innisbrookgolfresort.com. Reunion Resort, a AAA Four Diamond-rated resort in Orlando, is offering 50% off the standard published rates for villas. Reunion features multiple restaurants, including the rooftop restaurant Eleven and a full-service boutique spa. The resort also features signature golf course designs by Jack Nicklaus, Arnold Palmer and Tom Watson—the only resort location in the nation to feature designs from all three golf greats. Cyber Monday specials may include additional restrictions and blackout dates. For more Cyber Monday deals or to book accommodations, visit www.reunionresort.com. Hammock Beach Resort, a AAA Four Diamond-rated resort in Palm Coast, is offering special rates starting at just $99 per night plus taxes and fees. The resort’s for oceanfront Lodge accommodations are $99 per night plus taxes and fees, $129 per night for a one-bedroom suite plus taxes and fees, and $249 per night plus taxes fees. For guests who want to experience the newly-renovated Tom Watson signature design Conservatory Course or the award-winning Jack Nicklaus Ocean Course, rounds of golf just $89 plus taxes and fees with the purchase of a room. Cyber Monday specials may include additional restrictions and blackout dates. For more Cyber Monday deals or to book accommodations, visit www.hammockbeach.com. Three of Florida’s grandest golf resorts have united under the management of Salamander Hotels & Resorts. 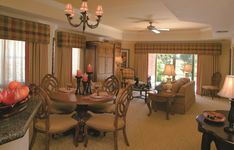 Grand Golf Resorts of Florida features Innisbrook Resort near Tampa, Reunion Resort in Orlando, and Hammock Beach Resort in Palm Coast. The collection includes 1200 luxurious villa-style accommodations, and 162 holes of golf designed by Jack Nicklaus, Arnold Palmer, Tom Watson and Larry Packard that form the Legends of Golf Trail, which traverses 200 miles between the resorts and across the Sunshine State. For more information, visit www.grandgolfresorts.com or call (888) 770-6501.